Joseph Charles Fields Jr. was born November 14, 1953 in Woodbury and grew up in Deptford. His brother, Robert, had Down’s Syndrome, so as a boy he developed an appreciation for quietly helping others—a quality that still defines him today. 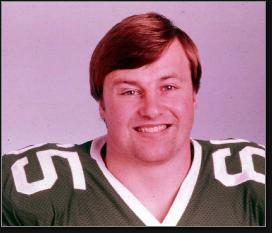 Joe played on the line for coach Bob McQuillan’s Gloucester Catholic varsity and graduated in 1971. Considered too small by major college programs, he was recruited by the Pennsylvania Military College, which became Widener University in 1972. In Joe’s three seasons as a varsity center, the Pioneers won 31 games for coach Bill Manlove. 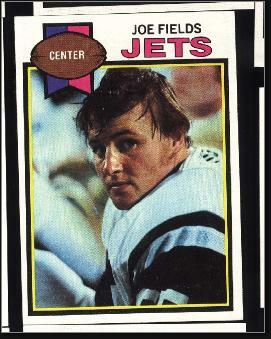 Joe had no expectations of playing pro ball, so when the call came from coach Charlie Winner that the New York Jets had selected him in the 14th round of the 1975 draft, he assumed it was one of his college buddies pranking him. But he signed a contract, showed up at camp, and made the team as the backup to Wayne Mulligan. One year later, Joe became the starter—a position he held through the 1987 campaign. Joe anchored an offensive line which, by the early 1980s, ranked among the NFL’s best. He was nicknamed The General. Joe went to two Pro Bowls and was a First-Team All-Pro in 1982. That year, the Jets came within one victory of going to the Super Bowl. In 1984, Joe’s reputation for toughness earned him a spot on the first All-Madden Team. After retiring, Joe went to work for a company in Woodbury and became Director of Contractor Services. In 2010, he was invited to Radio City Musical Hall for the 75th Anniversary of the NFL Draft—as one of the greatest draft bargains in history.